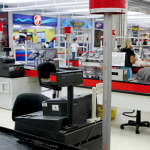 Point of Sale Systems requires managing waiting lines at grocery stores. Kroger’s system is a unique approach. You can also view all 40+ articles on Queueing Theory. Unlike lunch line design at a school to prevent obesity, lines at the grocery store a much different – we actually want to eliminate bottlenecks. The other day I took the kids to our local grocery store – Kroger’s. After spending 30 minutes trying to manage my kids through the shopping experience, we were finally ready to pay for 1 Gallon of Milk, Bananas, and some Ice Cream. Yes – when you have a large family as I do, doing the simplest things take a long, long time to accomplish. So I came home and did some research and learned a few interesting facts about the point of sale queueing system at Kroger’s. Apparently, Kroger’s developed this system and is conducting pilot tests across several mid-Atlantic stores. It consists of a flat panel television screen that displays three yellow circles and is placed on walls in front of the store’s lineup of checkout lanes. 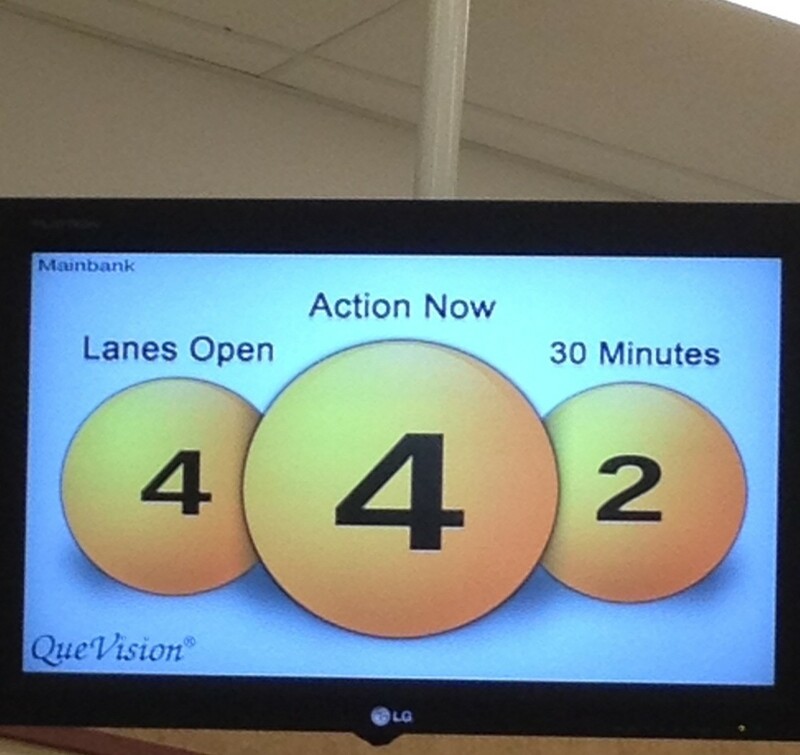 Inside these circles, changing numbers indicate to employees how many checkout lanes should be open immediately and how many should open up within 15 or 30 minutes. Sensors are positioned over a store’s entrance and exit doors and above checkout lanes to indicate the number of customers who are shopping at specific times. These sensors send signals to a computerized monitoring system that registers the number of checkout lanes to open. According to the same source, this new system is designed to create a better customer and a better shopping experience. They’ve branded this system “1-plus-1 queuing” and Kroger’s ultimate goal with QueVision is to have only one customer waiting in each line. By doing so, it allows the cashier at the point of sale to build a relationship with the customer. I’m not sure how they can pull this off. There is a fixed cost to open a line. Managing that cost is a challenge. But, there are clearly other reasons besides the customer experience at stake here. We’re talking about MONEY. The front end of the supermarket represents more than $7 billion in sales and as much as 2 percent of a retailer’s total profits. The front area is the one department that every shopper visits. And it is the last chance for a retailer to make a good impression on consumers. [The Progressive Grocer report goes on to state that] 75 percent of more than 1,000 shoppers interviewed said a positive experience at the front area of the supermarket makes their overall opinion of the store “much better,” while 80 percent also said the front-end experience makes them more likely to shop there again. Concerns about checking out are so strong that many shoppers will, upon entering the store, glance at the front end and base the length of their trip (and therefore, the size of their transaction) on the conditions they observe . . . The average time spent in a grocery store’s checkout lane is 2 minutes 52 seconds, based on a survey of retailers in the report. But consumers often perceive the wait time to be much longer. We know why the wait feels longer – the Psychology of Queueing is a play here. Thanks for the expose on this! I see this every week at my local Kroger (Owensboro, KY) and have wondered what kind of nonsense it represents. 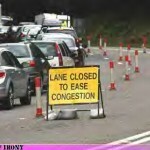 Well the open lanes are few and far between at this particular store at times!!! 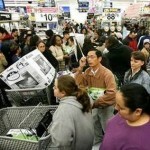 And the self-checkouts are clogged with people with large orders!!! This is extremely interesting. I agree that the front of store experience is crucial to leaving customers either satisfied or upset about their buying experience. 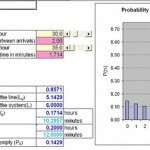 It’s interesting to think about how they are modeling future load. My guess is they are assuming a certain amount of time for each customer and the amount of time they are in the store accounts for a larger load. But it sounds like they aren’t tracking individual customers entering. Just those entering in and out. 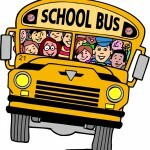 Dollar Billy is right – a large load can through the system off track. If Kroger is interested in looking at some software to model different scenarios, they should look at SimEvents and MATLAB. I would love to look into this. Planning any customer wait time is a wrong. That is managing the customer instead of managing the store’s service. time. Maybe some out of the box thinking could solve the problem. Possibly standby checkout staff that could be paid a higher rate/hour only when they are actually working and zero when not working. This may be acceptable to student/employees who could use the down time for studies or homework. Regarding grocery specialty meats and cheese departments: Why is it that these departments are generally inefficient and often require the customer to “take a number”. I find myself thinking of buying those products, but move on instead, because of the line backup. Just for fun I played with some estimates of mine (probably inaccurate) of lost sales/year…. there were lots of 0’s there.